Welcome to the Men of the Immaculata! TICKETS NOW ON SALE FOR 2019 MEN'S CONFERENCE! A BIG thank you to the ONE THOUSAND men who joined us for the 2018 Catholic Men's Conference!! The 2018 conference was a HUGE success! Subscribe below to get updates on the 2019 conference. 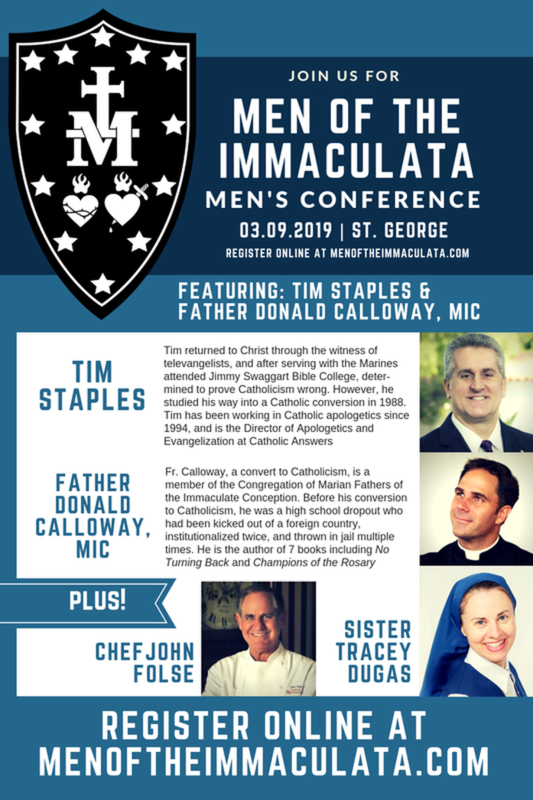 Subscribe to the Men of the Immaculata!